My activities over the last three days have been centered around a very sick husband. Waking up Tuesday morning, he sat down at the breakfast table only to realize that his stomach wanted no part of the scrambled eggs, fruit and quick bread. He decided he was sick, called work to let them know and then crawled back into bed. He’s a pitiful little invalid and doesn’t like to be all alone. So I read to him, take him on little walks, join him for a nap or let him sit in a comfy chair and watch me while I do some necessary household chore. We also watched two movies together – a good way to pass time when you have no energy to do anything. I expected to come down with the illness at any time, but surprisingly it never hit. I told Brian that it must be because I’m taking prenatal vitamins and he’s not. He didn’t eat much over the duration of the illness, but despite his weakened condition he managed to help me with a few manly chores and we went in for early voting. During this time we were supposed to have a home visit from the midwife. We decided not to share the wealth however, so I went to their place instead – leaving Brian to entertain himself for a couple of hours. All checked out well at the appointment except the baby has turned around and is now breach. The midwife told me a few things to try and make it turn, one of which is to play music through headphones down where I want to head. 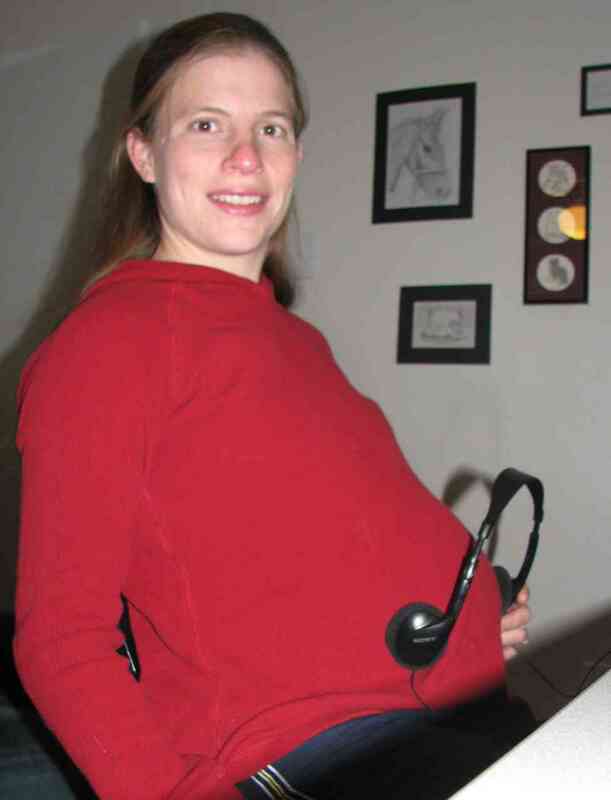 She said it’s worked for several other mothers – apparently the baby likes the music and wants to get closer. So here I am trying it out while typing at the computer. Someone gave me several “baby” music CD’s to play for Tadpole so I’m trying them out. There has been a little movement in there – maybe Tadpole is dancing!